Tricky Ricky Alarcon at it again with another head scratching comment on why the Geritol mafia clan is still in power......it's because the CIA failed to assassinate the destructo clan.....yes, again it always SOMEONE elses fault. Remember the pulitzer prize comment of: "If the whole world-its six billion inhabitants-could travel wherever they wanted, the bottleneck in the planet's airspace would be enormous" in response to a simple question from a student on why Cubans can't travel freely. "An end to classic cars rumbling across Cuba?" So having classic cars around is more important than FREEDOM for the Cuban people? I can't count how many time people have ushered their opinion on what a shame if all those classic cars would go away if change occurs in Cuba, a virtual gold mine for classic car collectors! An easy statement to make for those who have NOT suffered under the castro dictatorship. You have to be a total idiot or YOU just don't care about the Cuban people. It's been 52 years of a DICTATORSHIP, the revolution has been a TOTAL FAILURE, the castro mafia brothers have virtually destroyed Cuba, CHANGE has not occurred, and ANOTHER CASTRO IS IN POWER! I wish the clueless media STOP fabricating articles that tends to tilt in favor of the communist dictatorship. and yet another Dictator castro at the helms. raulita announing term limits and I believe his term is until 2018, and when reached they will probably exend it another 10 years! History has shown us that the castro dictatorship has done WHATEVER they wanted to for the last 52 years. All these changes that they are proposing are just simple lip service. FREEDOM for the Cuban people continues to take a back seat and POWER still remains in the hands of a FEW for the last 52 years. Real change will occur when FREEDOM is achieved and the the castro mafia dictatorship is completely removed! La Brigada de Asalto 2506 en Bahía de Cochinos from Teshud on Vimeo. The Miami Herald has a special series on the 50th Anniversary of the Bay of Pigs. Click here for the articles. 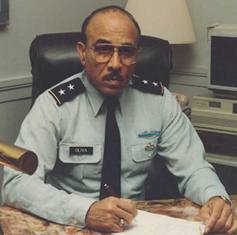 Great article at American Greatness concerning Major General Erneido Oliva. You can read the article here. Retired Major General of the U.S. Army, Erneido Oliva, was the second in command of the freedom-fighters who hit the Bay of Pigs beachhead 50 years ago. The Knights of Camelot dumped Oliva and his men on that beachhead with only light arms and no air cover—then abandoned them. Oliva’s men were outnumbered 30 to one by Castro’s Soviet led and supplied troops, who had swarms of Soviet T-34 Tanks and jets overhead. On the third day of unrelenting battle Oliva’s men were virtually out of ammo for their carbines and the battlefield horrors were taking their toll. “Where are the U.S. planes? !” they kept bellowing into their radios. “Where is our ammo? !” Crazed by hunger and thirst, they’d been shooting and reloading without sleep for three days. Many were hallucinating. By then they knew damn well they’d been abandoned by the Knights of Camelot. That’s when Castro’s Soviet Howitzers opened up, huge 122 mm ones, four batteries’ worth. They pounded 2,000 rounds into Oliva’s men over a four-hour period. “It sounded like the end of the world,” one said later. “Rommel’s crack Afrika Corps broke and ran under a similar bombardment,” wrote Haynes Johnson in his book, the Bay of Pigs. By that time the freedom-fighters were dazed, delirious with fatigue, thirst and hunger, too deafened by the bombardment to even hear orders. But these men were in no mood to emulate Rommel’s crack Afrika Corps by retreating. Instead they were fortified by a resolve no conquering troops could ever call upon–the burning duty to free their nation, to free their very families. They’d seen Castroism point-blank: stealing, lying, jailing, poisoning minds, torturing, murdering. They’d seen the midnight raids, the drumbeat trials. They’d heard the chilling “FUEGO!” as Che Guevara’s firing squads murdered thousands of brave countrymen. More importantly, they heard the “Viva Cuba Libre!” from the bound and blindfolded patriots, right before the Soviet bullets ripped them apart. And so they did–and wrote as glorious a chapter in military history and the annals of freedom as any you’d care to read. For three days his force of mostly volunteer civilians battled savagely against a Soviet-trained and led force 10 times their size, inflicting casualties of 20 to 1. To this day their feat of arms amazes professional military men. Morale will do that to a fighting force. And there’s no morale booster like watching Fidel Castro and Che Guevara ravage your homeland and families, believe me. 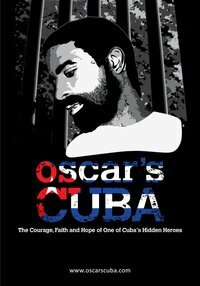 During almost two years in Castro’s dungeons, Oliva and his men lived under a daily death sentence. Escaping that sentence would have been easy: simply sign a confession offered to them daily by their guards denouncing the U.S.–which is to say: repeating what Danny Glover, Nelson Mandela, Jeremiah Wright, etc. etc. etc. 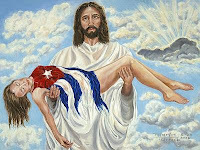 constantly snarl and bellow about the U.S.
“Inside of our souls we were free,” said another Bay of Pigs freedom-fighter (also Black and today a proud U.S. citizen) named Sergio Carrillo, a paratrooper at the Bay of Pigs in 1961 and a Catholic priest in America today. Neither Oliva nor any of his men signed the document. His hundreds of men stood solidly with their commander. “We will die with dignity!” snapped Oliva at the furious Castroites again, and again, and again. To a Castroite such an attitude not only enrages but baffles. “These Cuban exiles, for all their chest-thumping and terrorism, are really just a bunch of wimps!” Michael Moore writes in his book “Downsize This!”–That’s right. “Wimps!” Moore’s insults target the Bay of Pigs freedom-fighters for particular scorn. “Ex-Cubans with a yellow stripe down their backs,” he calls them, on top of “crybabies!” Michael Moore was the Democratic Party’s guest of honor at their 2004 Convention. H/T to Jose Marti for this article! (305) 284-CUBA (2822). Seating capacity limited to 115 persons. 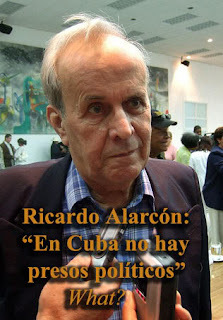 The Cuban dictatorship and Ricardo"Tricky Ricky" Alarcon are having a hissy fit because THEY did not get their way in regards to the Posada trial. 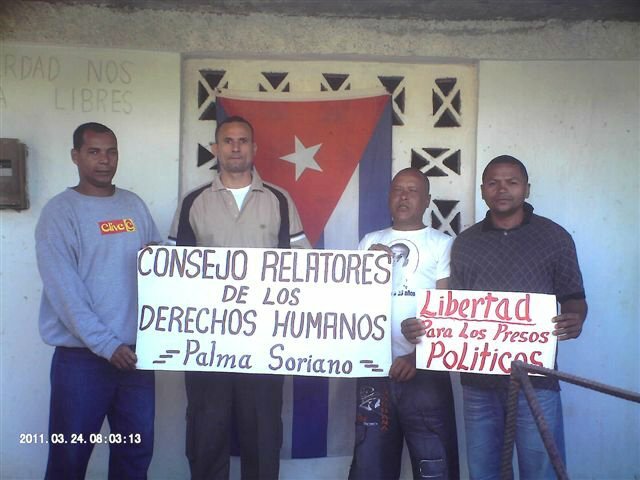 The Cuban dictatorship only knows one word "GUILTY" in regards to their shams of so called trials in Cuba. Now they are crying all to the APP and all over the media WHILE THEY repress their own people in Cuba in regards to the press and internet. Excuse me Tricky.....You and the dictatorship have LIED to the Cuban people and the world for 52 years! 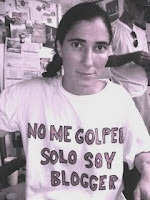 We would love to SEE YOU on trial for all the atrocities inflicted on the Cuban people by YOU and the dictatorship. Interesting video from Olga Sanchez. 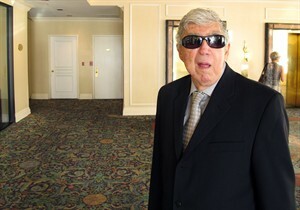 "Luis Posada Carriles acquitted of all charges"
"Cuba invests $9.5M in coffee, but still importing"
Cuba, a tropical island, once a world leader in sugar and before the destruction by the communist dictatorship, coffee was produced at a level of 60,000 tons. The incompetent revolution now produces meager 6,000 tons. Now tell me WHAT this revolution has accomplished? All the results seen are the destruction of a once producing country and the imprisonment of the Cuban people. "Cuba's 2011 sugar production will be similar to or slightly higher than last year's total, which was the worst in more than a century"
"Cuba used to be a world leader in sugar, annually producing 6 million to 7 million tons" and now with the communist dictatorship only producing 1.23 million tons of sugar per year. Just another example of destruction done by the communist dictatorship of 52 years! "Jimmy Carter Lobbies for Cuban Spies"
Why lend legitimacy to the Castro brothers? 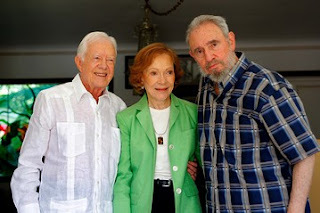 They say that Cuba is a place where time stands still and it certainly seemed that way last week when Jimmy Carter arrived in Havana to fraternize with the Castros. The image of the 86-year-old American ex-president wearing a wide smile as he disembarked from a jet to meet with the regime bigwigs was déjà vu all over again. Press reported that it was undertaken at "Havana's invitation" and "aimed at improving U.S.-Cuba relations." Fidel praised Mr. Carter as "brave and serious." It is obvious why the dictatorship sought out Mr. Carter. The list of individuals---no fair counting Mahmoud Ahmadinejad, Kim Jong Il or Chris Dodd---who are willing to lend legitimacy to one of the 20th century's most disastrous revolutionary experiments is shrinking fast. The former president is, as they say, useful. We may never know why Mr. Carter agreed to be used. 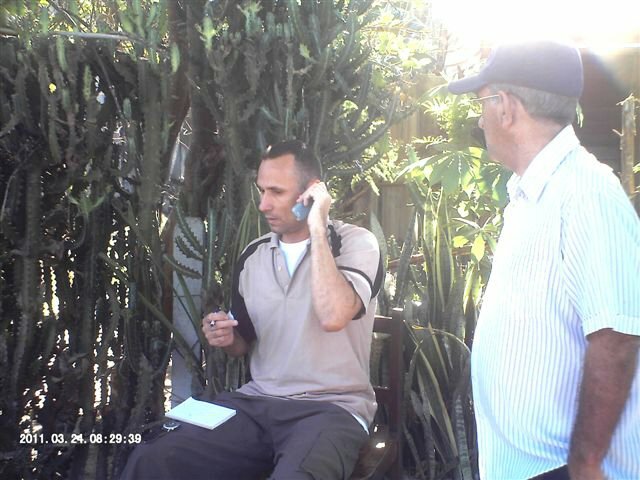 But we do know how he was used: On Wednesday, before he left Havana he went on Cuban television to argue for the release of the five Cuban spies known as "the wasp network," who are now serving time in U.S. prisons. system. The dangers that Cuban agents operating inside the U.S. present to Americans are well established. Treating their crimes lightly will only increase the nation's exposure to serious risk. Initially, hopes were high that Mr. Carter would be able to win the release of Alan Gross, a U.S. Agency for International Development contractor who was taken hostage by Cuba in December 2009. The 61-year-old American had apparently brought hardware to members of the island's tiny Jewish community so that they could access the Internet. He has been sentenced to 15 years in prison. 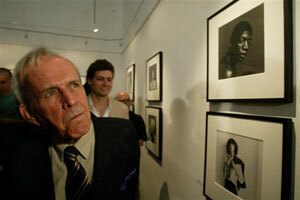 Yet once Mr. Carter was on the ground in Havana, he announced that he was not there "to take [Mr. Gross] out of the country." He did visit him and recommended that he be set free. That could still happen. Mr. Gross is in frail health and back home in Maryland both his mother and his daughter are fighting cancer. Rumors abound that he will be given a humanitarian pardon. Cuba no doubt will spin an early release of Mr. Gross as evidence of its goodwill toward the world. But for now it's hoping to get more than international kudos. One objective seems to be the exchange of its American prisoner for the "wasps." Gerardo Hernández, René González, Antonio Guerrero, Ramón Labañino and Fernando González Llort were all arrested by the Federal Bureau of Investigation on Sept. 12, 1998. Five others in the network were arrested the same day but accepted plea bargains in exchange for acting as witnesses for the prosecution. The FBI had collected plenty of its own evidence. It had used the Foreign Intelligence Surveillance Act and court warrants toinvestigate the group over a period of three years. Mr. Hernández, who is serving two life sentences, was convicted of conspiracy to commit murder in the Cuban Air Force downing of two civilian aircraft flown by Cuban exiles from Florida in 1996. Four Americans died. The prosecution also showed that the "wasps" had sought to infiltrate U.S. military installations and to discover unprotected points along the Florida coast where arms and explosives could be brought into the country. Because Cuba is so poor, its American advocates like to say that it presents no threat to U.S. national security. But this ignores Cuban espionage. In 2002 Defense Intelligence Agency analyst Ana Belen Montes, the highest ranking U.S. intelligence operative ever to be charged with spying for Cuba, pleaded guilty and was sentenced to 25 years in prison. Her arrest, 10 days after the terrorist attacks of Sept. 11, 2001, was rushed because she had the potential to pass sensitive information about the U.S. invasion of Afghanistan to enemy agents. Americans still don't know how much damage Walter Kendall Myers, an analyst working in intelligence and research at the State Department, and his wife, Gwendolyn Myers, also an employee at State, inflicted on the U.S. over the 30 years that they spied for Cuba. 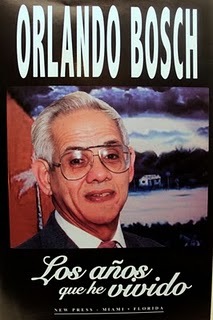 The couple was recruited by the Cuban Mission to the United Nations in New York, a notorious hothouse of Cuban espionage. Mr. Carter should stick to doing personal favors for his "personal friend"---those were his words for Fidel while in Havana, according to Europa Press. When a six-hour meeting with the old tyrant is followed by a Carter announcement expressing doubts about the trial that led to the conviction of spies and a promise to speak with President Obama about a pardon for them, its hard to see him as anything but a shill for Cuba's military dictatorship.